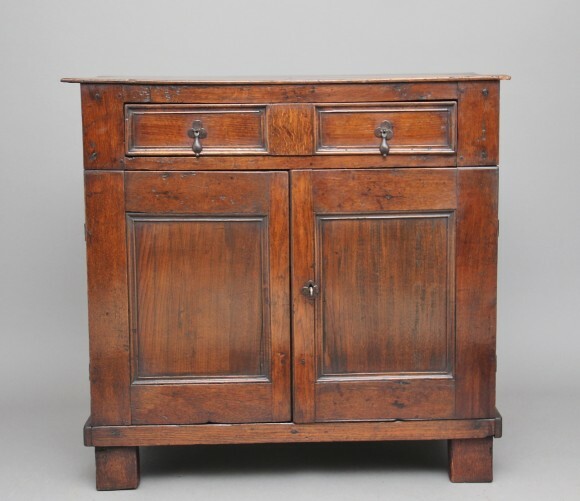 Early 18th Century oak cupboard / enclosed chest of drawers of good proportions, the lovely figured top above a frieze drawer with brass drop handles, the drawer fronts having a nice moulded edge, two paneled cupboard doors below opening to reveal three graduated drawers inside, standing on square feet. Lovely patina and in very good condition for it’s age. Circa 1720.